Slim can boast many years of experience in producing materials for the architectural and building industries. From pre-anodised facades, through door panels to light frames. We provide a range of alloys for painting, anodization (for continuous run and batch processing), forming, bending and shaping. Our quality AQ78 is the ideal base for anodising in both batch and continuous modes and is also the substrate for our continuous anodised CA78 product. What are the characteristics of CA78? It has an anodised layer of 0.8 – 15 μm, guaranteed for plus/minus 10 points of gloss. For facades, various projects, roofing, cassettes and many other construction applications, AQ78 or CA78 offer the perfect solution. Our pre-anodised alloy 5005 is available in a range of thicknesses and standard widths of 1, 1.25 and 1.5 m with an exciting colour variety and guaranteed gloss. 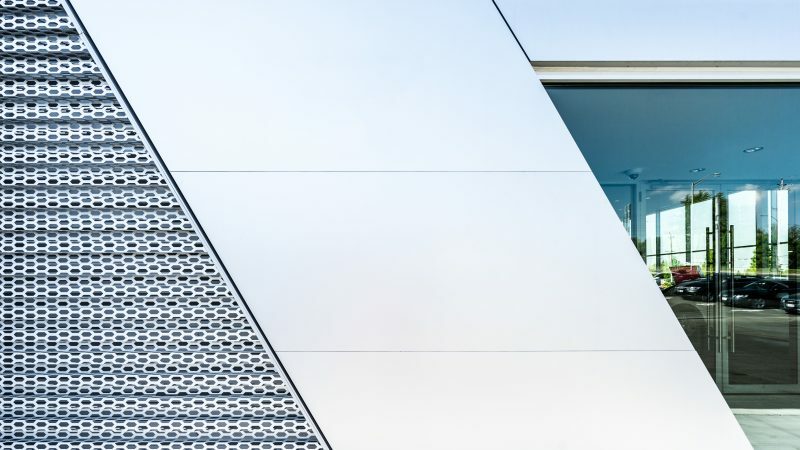 Displaying the purity and the appearance of aluminium with the aided protection of an anodised layer of 10 or 15 µm, our CA78 is the ideal choice for facades. Aluminium offers interesting possibilities in the interior design: suitable for modern minimalistic tastes, it can still add shine and sophistication. Anodized aluminium (CA78), can be offered in different and long-lasting colours, thus offering an even wider range to enhance interior design elements. Especially suitable for wet environments thanks to its exceptional anti-corrosive qualities! 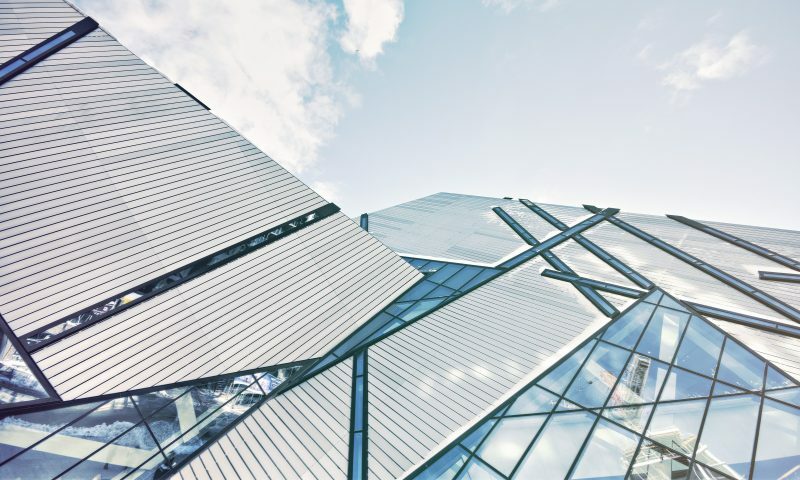 Slim Aluminium provides thinner foils for multi-layer and honeycomb insulation panels due to its longstanding experience with aluminium alloys for building and construction. 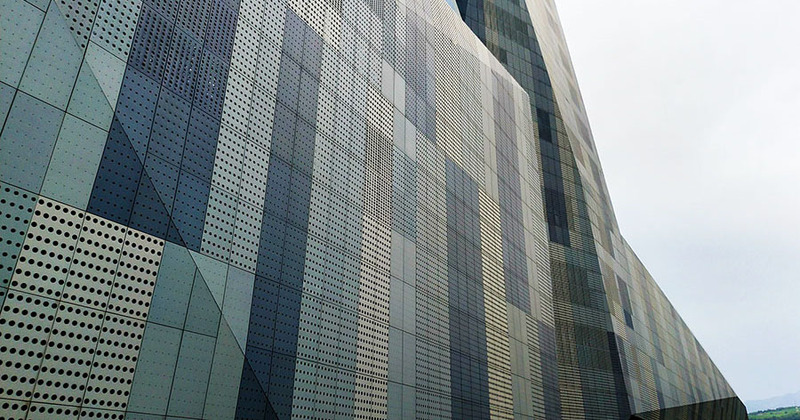 Slim is the supplier of choice for architectural aluminium. Our excellent material is suitable for both anodising and painting. We also have a pre-anodised variety available. Our aluminium displays an excellent surface structure, combined with first-rate bending and forming characteristics. Our range includes various kinds of aluminium alloys, such as anodised, pre-anodised, pre- painted or plain. All of them are highly suitable to be used for shutters and blinds and all of them with excellent surface structure and first-rate bending and forming characteristics.